Are you confused by all of the sales literature you are probably getting in the mail concerning Medicare health plans? When someone turns 65 it seems that they start getting more mail than they've ever gotten in their life! You are not alone. Given the long list of available medicare insurance solutions, choosing the best insurance plan for your circumstance is challenging. To make the appropriate choice you need to know the ins and outs of each plan as they apply to you. 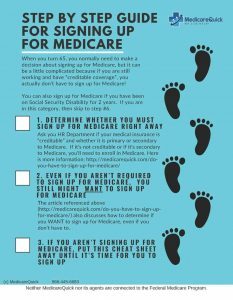 MedicareQuick is dedicated to knowing these ins and outs and passing this knowledge to you so that can make the appropriate choice. Then, once you have decided, MedicareQuick‘s registered agents will process the necessary paperwork with the medicare insurance solution and organization of your choice. We know it's confusing. Medicare Supplement Insurance Plans (Medigap), Medicare Advantage Plans , and Prescription Drug Plans (PDP Plans) are all Medicare insurance solutions, but they all work differently. That's where we come in. We can help you sort it all out and determine which is the right plan for you. We are here for you. You can call us or complete our form and we'll call you. Or if you prefer, you can just look through the website. There is a lot of information, and you can find what you need right here. Call us at 866-445-6683 or Contact us here and we'll help you sort through the ABCs of Medicare!